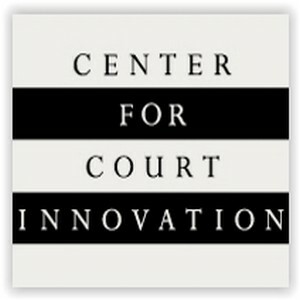 Founded as a public/private partnership between the New York State Unified Court System and the Fund for the City of New York, the Center for Court Innovation helps the justice system aid victims, reduce crime, strengthen neighborhoods, and improve public trust in justice. The Center combines action and reflection to spark innovation locally, nationally, and internationally. Youth courts train teenagers to serve as jurors, judges and attorneys, handling real-life cases involving their peers. The goal of youth court is to use positive peer pressure to ensure that young people who have committed minor offenses learn accountability and repair the harm caused by their actions. Youth courts direct lower level cases from the formal justice system. A variety of justice agencies refer cases to youth courts with the goal of preventing further involvement in the juvenile or criminal justice systems. Youth courts can also be an integral part of a school’s disciplinary process, serving as an alternative to traditional disciplinary measures such as suspension and detention. The Center launched its first youth court in 1998 as part of the Red Hook Community Justice Center. Today, the Center operates youth courts in Harlem, Staten Island, Greenpoint, Brownsville, Queens, and Newark, N.J. In addition to operating several youth courts, the Center provides technical assistance to communities and schools that are interested in launching a new or improving an existing youth court program.